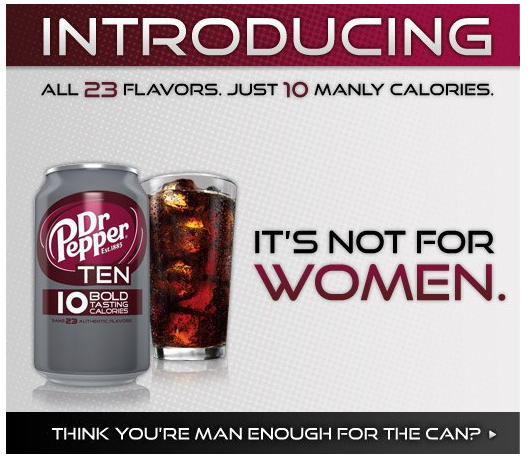 The latest drink from Dr Pepper isn't for women. It's only 10 calories but those are some manly calories. I think this is the first Dr Pepper social media campaign since they had to apologise for a rogue social media agency and 2 girls - 1 cup. Now, as much as I love Coca-Cola, I'm not a fan of Dr Pepper. What's the worst that could happen? I might swallow some. Their latest social media campaign highlights that women are banned. Their Facebook page blocks women. Here's the thing - I'm blocked too. Perhaps Dr Pepper sense's I'm not a fan, suspects I'm a troll and is blocking me from their page. Or it could be that they're another one a string of brands to release Facebook pages that don't work under HTTPS. I, like many (I hope), tell Facebook only to operate under HTTPS. 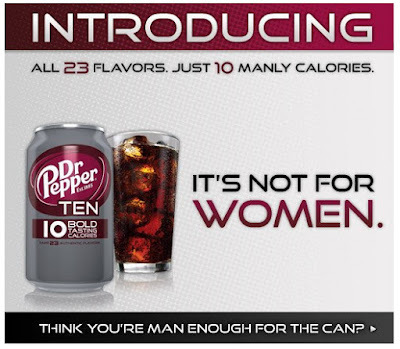 Perhaps Dr Pepper 10 isn't for digital savvy men either?